Have you ever been in an uncomfortable situation? You know, the kind where you know people are staring and whispering and well, who knows what else? Me too. And so did Jesus. When I picture this account in my head, I picture total silence, as if you could hear a pin drop in that room. What may have been seconds, probably felt like hours to those who witnessed what took place. You know who probably didn’t feel one bit uncomfortable, shocked, annoyed, bothered or anxious? Jesus. I wish I could say the same thing for me. I had to fight back my flesh recently. I had to pray, pray and pray some more during a particular instance. I had to fight the urge to care what others thought and take the focus off myself and put it on the cross. Why? Because none of it had anything to do with me. If my purpose is to glorify God and to love others, I have to be willing to lay down anything and everything that could get in the way of that. That means my pride, my conveniences, my “me” time and my fear of what others may think. Let me fill you in a little. 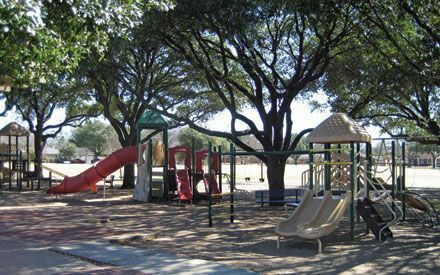 A couple months back, my husband and I took our youngest two children to the neighborhood park. While my husband played tennis with my son, I took my daughter to the playground. As we parked our bikes, I noticed a man standing alone smoking a cigarette. Well that is rather odd I thought to myself. A few minutes later, that same man approached me and asked me a question about a road. I gave him a quick answer and then I noticed him walk toward a woman and a child. Well at least he’s not here by himself. A while later, I happened to glance over at the tennis courts and I noticed that this same man was now playing tennis with my husband, son, and another boy (that is a totally different story all together) while his wife and young son watched. Okay, this is really getting odder by the minute. I coerced my daughter into finishing up her playground time and we made our way over to the tennis courts. In a matter of minutes, I learned that our new friend had just moved over from Iraq. It’s a long story of how he got here, but he’s here now. Since that time, another Iraqi came over that is living with them as well. Their story is not unusual and I’ve since learned that this happens pretty frequently…especially for those who are helping Americans over there. My husband gave this man his cell phone number and we all left. My husband has met with him a couple times since then and chatted via texts. A couple weeks ago, he told me that our new friends had asked to meet us at church. Only the two men came the first time we went. They are Muslim. One had been in a Christian church before. The other never had. Since they spoke English, they could follow along. It went well and they said they would like to return. They came the following week. This time, his wife and young child came with them. I met them to get their son registered for childcare. Again, I was so thankful that the husband speaks English because his wife speaks little to none. Because our new friends are from Iraq and because they are Muslim, the wife wears a hijab (for those of you who do not know what that is – it is a head covering)(*Note: the girl pictured is not my new friend, but a generic model). Honestly, I knew she would be wearing one, but didn’t really think anything of it until they arrived in our church atrium. Okay, tonight is definitely going to be different. We got their young son into his childcare room and he, without hesitation, went right in. Whew….crisis averted there. My kids never went right into childcare as young children, especially in a strange place. He thought he was at Chuck E. Cheese because of all the painted murals on the walls in the children’s ministry building. Honestly, that is the one and only time I’ve ever been thankful for Chuck E. Cheese. Next, we headed into the worship center. I noticed my breathing was becoming more shallow. What in the world was happening? My husband hadn’t yet come down to meet us so I was walking them in all by myself. There was no way we could just blend in with the crowd and sit toward the back. No, instead, our family sits on the second row of this gigantic worship center every week. Not only were we walking into unchartered territory, we were placing this family and their friend front and center. And because no one sat in front of us, it felt like all eyes were on us. Then, worship began. We all stood…except for the three people to my right. Oh please, oh please stand up. The songs seemed endless….I love worship, but I was so happy for it to be over for just a minute. When the greeting came, they stood (praise God!) and greeted people. After we sat down, our friend leaned over and said, “After prayers in the mosque, we do the greeting too.” Alrighty then. And then, for the love, more worship. And again, they did not stand up. I was trying my best to engage in worship and block it all out, but I was struggling. Then we sat and the message began. I thought that would be my safe zone, but I totally spaced on the fact that the wife did not speak English. So at times, the husband felt compelled to translate for her (yes, out loud in case you are wondering). It was a great message and I am grateful we are in a sermon series on the Ten Commandments because Muslims get that. But let me tell you, I prayed through the whole thing. Lord, help me fight back the fear, the insecurity right now. I know people are looking (I see them glancing) every time our friend translates (you know, like when people have a screaming child in church kind of staring). I see them shifting in their seats. Where is my quiet time? This is “my” time to hear from you. Lord, forgive me for being selfish. This isn’t about me, this is about them…this is about You. You have them here for a reason. May I not get in their way nor anyone else here for that matter. And this went on and on in my head during the entire message. By the end, I was exhausted and my neck and back hurt from being so tense. Mature, I know. However, there was a glimmer of hope. Our church does an invitation and after we pray, everyone stands. Our friend stood during that time (no, I do not think he was responding to the invitation, but was engaging at least.). They also went to our Bible Fellowship class after service, heard the Gospel again and learned about some verses from Ephesians (specifically about grace and peace – God timing!). We spent time with them after class with some other class members getting frozen yogurt. And in a couple days from now, I get the privilege of taking the wife to the doctor. She’s pregnant and needs a doctor. And they are allowing me to take her because the husband works during the day. What a privilege and honor that they trust me already. I learned today that this wife is a young girl of nineteen. Nineteen. I texted a friend today and said that this girl must just be completely overwhelmed. I knew she was younger, but it is really hard to tell when they have a hijab on and I hadn’t had a good chance yet to study her face. Nineteen. In a foreign place with a limited ability to converse in the language. You just never know what is under the cover. Even if that means being uncomfortable among your own people. Live and love. We can preach the Gospel, but we also need to love others as Jesus did the woman with the Alabaster jar. Christians, we have got to stop looking at everyone who is not a Christian through Pharisitical eyes. If Jesus loved the woman with the Alabaster jar, we must too. If Jesus endured stares from the crowd, we will too. Jesus did it for His Father and we must too. Note: I used the terms "friend," "husband" and "wife" because I do not wish to disclose their identity. Thank you for understanding.